I’ll present my detailed, spoiler-filled review of Ridley Scott’s Prometheus (2012) one week from today, here on the blog (so see it before then; twice if you can…). While watching the new film, keep in mind this matrix, and see how many categories Prometheus fulfills. This may be one manner of judging how much of an Alien “prequel” the Ridley Scott film really is. Does it live or die by the conventions of the established series, or does it feature new tropes and ideas? Once upon a time, the wardrobe of the horror genre consisted of diaphanous white gowns and black vampire capes. But by the 1970s, traditional Gothic wear was out-of-fashion, and high-tech horror chic was in. These American soldiers carried flame throwers and guns, and saw the innocent families and denizens of the town as something akin to expendable cattle. Therefore, the protective suits – on one hand a protection from danger – also became a barrier to communication, an impediment to human and humane behavior on the part of those who wore them. Behind those suit masks, we couldn’t see how the soldiers felt, or if they were agonizing over their difficult choices. We could only see how (horribly) they acted in the face of fear. 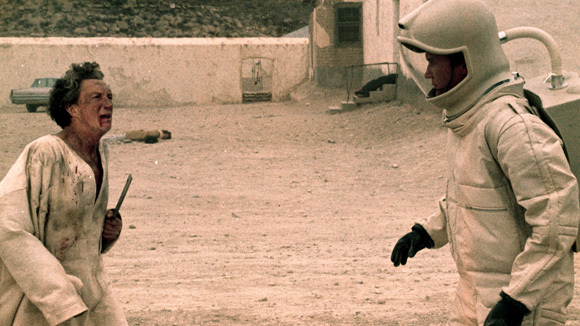 In short, that’s the yin-and-yang of the hazmat suit in horror films. This wardrobe can work as a defense if a hero wears it, but represents a form of alienation or fear if worn by callous-seeming others or villains. Some films, such as Outbreak(1995) play with the conventions of the hazmat suit by featuring scenes wherein the protective suits rip and tear, and our heroes are exposed to a bug and therefore mortally endangered. 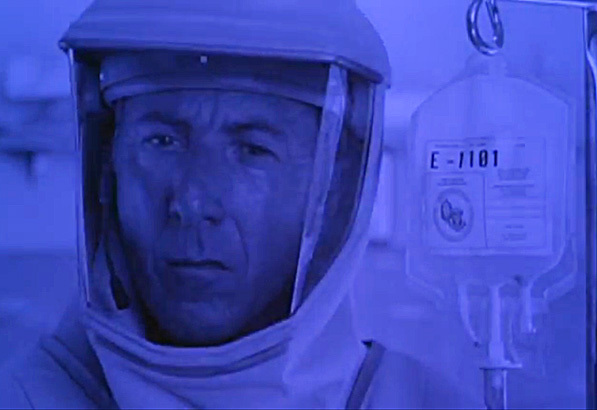 At another moment in the film, a scientist (Dustin Hoffman) is so convinced that he has discovered the cure for hemorrhagic fever that he (foolishly, in my opinion…) removes his helmet in the presence of the infected. Fortunately for him, his gamble pays off. The late 1980s and early 1990s represents the era of what I term “the Horror Genome Project,” wherein many genre films featured “science gone amok” story lines. These new age Frankenstein tales concerned irresponsible scientists who experimented with life – with the very building blocks of life – and created only…terror. The remake of The Blob (1988) concerned this idea, as did such efforts as Mimic (1998). In these settings, the hazmat suit was the scientist’s garb of choice. We know that“clothes make the man” (or woman), so therefore the hazmat suit became a de rigueur fashion touch in stories of scientists confronting their own creations, as well as seemingly alien or unknown terrors; Phantoms (1998) for instance. In Steven Spielberg’s science fiction films, Close Encounters of the Third Kind (1977) and E.T. 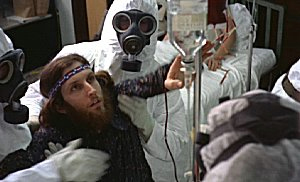 (1982), the hazmat suits are utilized by the master director as fearsome indicators of powers that audiences can’t understand. The suits and helmets themselves obstruct transparency, hiding either conspiratorial government deceit, or “grown-ups” who obscure their “heart-lights” beneath layers of inhuman, inexpressive protection. The Andromeda Strain(1971), The Crazies (1973), Close Encounters (1977), E.T. (1982), The Blob (1988), Alien 3 (1992), Carnosaur(1993), Return of the Living Dead III (1993), The Puppet Masters (1994), Mimic(1998), Phantoms (1998), Sphere (1998), The X-Files: Fight the Future(1998), [REC] (2007), Carriers (2009), and The Crazies (2010). 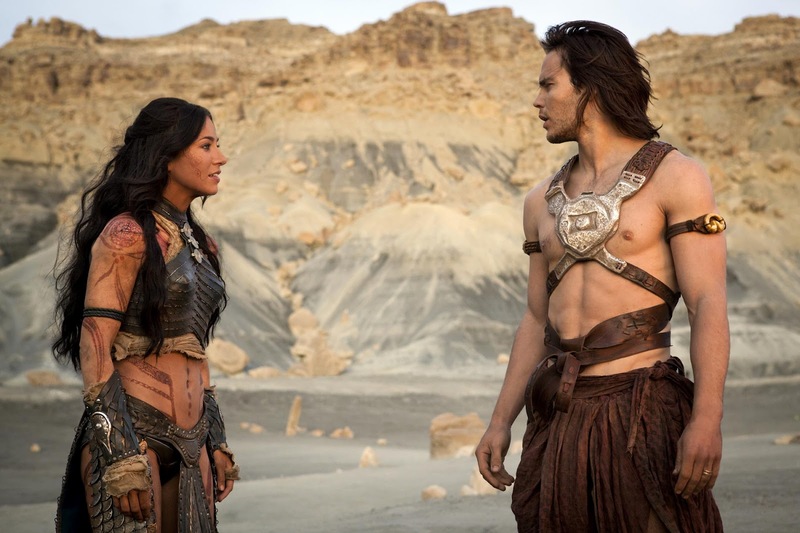 I grew up reading the works of Edgar Rice Burroughs and the author’s Princess of Mars “pulp” novels, so I was saddened to see the cinematic adaptation of the saga, John Carter (2012) bomb at the box office last spring. But — as difficult as it is for our money-focused, bottom-line-concerned, consumer modern society to recognize such things – financial success isn’t necessarily the most important aspect of a movie’s legacy or artistry. And in regards to John Carter, I reckon that general audiences missed the boat – and a nice treat — by giving the film a pass. 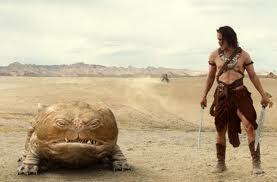 In short, John Carter is a beautifully-conceptualized and gorgeously photographed “sword and sandals-” in-space epic. Only the fact that virtually every sci-fi blockbuster from Star Wars (1977) to Attack of the Clones (2002), to Avatar(2009) has cribbed mercilessly from the Burroughs’ epic burdens the picture with an unfortunate surface impression of sameness. At this point, frankly, we’ve probably seen enough desert planets (Star Wars , Dune , Star Trek V: The Final Frontier, Stargate , Star Wars: The Phantom Menace  etc.) to last us all a lifetime. Yet if you gaze underneath such familiar visual trappings, you may detect that John Carter possesses a droll, sure-footed imagination, and the rollicking senses of humor and, yes, joy, that many recent space adventures have deliberately forsaken in favor of darkness, angst, and doubt. 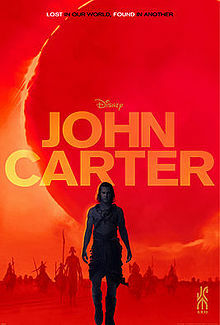 Directed by Andrew Stanton (Finding Nemo , Wall-E ), John Carter is yet another one of those recent releases that met a cruel reception from reviewers; a reception that speaks more trenchantly about those reviewers and their own shortcomings than those of the film in focus. For instance, some critics were quick to term John Carter an Avatar “reject” without considering the fact that Burroughs’ John Carter practically originated the sci-fi adventure genre a century ago. Other critics only wanted to discuss inside baseball and reinforce a behind-the-scenes story: The film was too expensive at 250 million dollars! The director had shifted from animation to live action…why? Finally, some dunderheads even suggested that John Carter is incomprehensible, and that it is too “hard” to follow the film’s story. I wonder what these same critics would have made of Star Wars when it first premiered in 1977.
Who are these Jedi Knights we keep hearing about? Who are all those aliens in the cantina? Why all this endless talk of an Imperial Senate that we never actually see? Boring…. But the cardinal sin is this one: So many critics focused on what was happening behind-the-scenes (admittedly, a marketing disaster) or the film’s “familiar” subject matter that they didn’t actually contend with the specifics of the film’s text itself, or with the creative and often amusing ways that John Carter tackled its narrative. In short, director Stanton adopts a stance of quirky individualism and wonder throughout the film, humanizing his lead character by deploying unexpected editing flourishes and off-kilter compositions that visually mirror the hero’s quest. So yes, narrative-wise, the story of John Carter has been re-purposed many, many times. No point denying that. But perhaps in recognition of that very fact, Stanton infuses his silver screen effort with a strong sense of romance, a quality of unfettered joy, and even a keen eye for detail that plays, finally as tribute to the genre’s history. Beyond those laudable values, a mild updating of the material (to include elements of the second Carter adventure, Gods of Mars) provides for an interesting commentary in our modern, twenty-first century era. In particular, the film’s “civilized” villains — the god-like Therns — mirror how the rich and powerful manipulate religion, technology and even PR sleight-of-hand to drive an agenda that may be good for them — the few — but are wholly tragic for the rest of us, the many. It’s a shame that for a lot of folks, that’s not enough. Following the Civil War, confederate Captain John Carter (Taylor Kitsch) of Virginia goes in search of gold in the west. After running afoul of U.S. cavalry officers and Apache warriors, Carter hides in a cave and comes across a device that can transport him to another world…to Mars. Carter wakes up on the dying planet — here called “Barsoom”— to find excessive strife. And oddly, the gravity differential on Mars has granted Carter the strength, speed and agility of a superman. Still, John is quickly captured by the warrior-like, green-skinned, twelve-foot tall Tharks, and trained as one of their number. But a usurper to the throne, Tal Hajus (Thomas Haden Church) makes trouble for the Tharks’ noble leader Tars Tarkas (Willem Dafoe) after he allows Carter and his daughter Sola (Samantha Morton) to escape from captivity. Attempting to find a way home to Earth, Carter comes to the rescue of Dejah, and learns that Helium and even Sab Than are being manipulated by dark, shadowy overlords known as Therns. 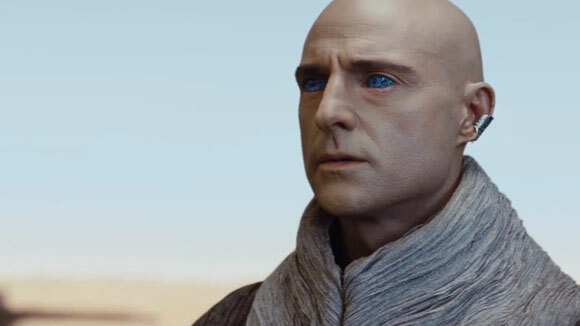 Their agent on Barsoom — Matai Shang (Mark Strong) — reveals that his people feed on societal divisions and strife, and are manipulating the planet Barsoom towards total disaster. Take for example, John Carter’s repeated but futile attempts to escape the U.S. cavalry. Stanton stages these moments with fierce abandon and with flourishes of heroic music on the soundtrack. Carter leaps into action and attempts to break free. But the editing sets up a joke/punch-line dynamic. After Carter lunges into action, he gets smacked down…hard. This happens repeatedly (perhaps three times in all), and each attempt only lands Carter in deeper trouble: bruised, bloodied, and finally incarcerated in prison. But the persistent jump cuts from the initiation of Carter’s daring escape gambits to the unfortunate results of his efforts prove very funny, and quite unexpected. They almost immediately announce the film’s intention to play the story not as camp, but as good, entertaining fun. Yet the sequences featuring these jump cuts reveal character traits ably as well. Carter is resilient and indomitable, even when he doesn’t possess the upper hand. This is a trait that will come in handy on the desert plains of inhospitable Barsoom. Also, the moments of Carter jumping up – and getting smacked down hard – play as direct and deliberate contrast to those later moments on Mars when the gravity difference allows the protagonist to leap into the sky….and successfully fly into action. On Barsoom – where he belongs – nothing can hold Carter back. The pointed contrast with the earlier jump-cut shots thus represents a visual recognition of destiny achieved. Instead, we see him fall flat on his face over and over, looking every bit the fool. Again, this off-kilter moment reveals something of the main character’s resilience. 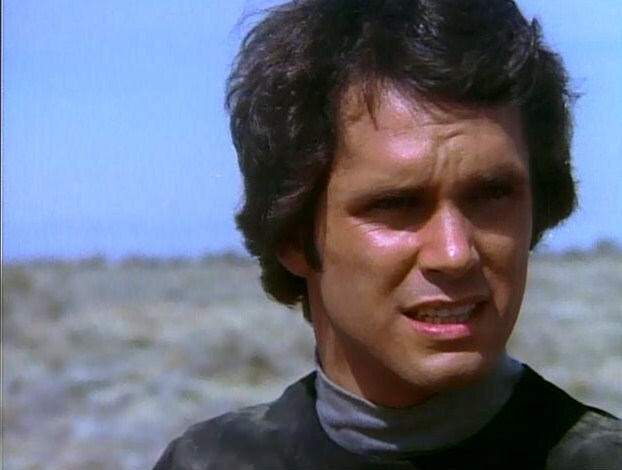 It would have been easy (but wrong) to omit Carter’s physical training, and just have him emerge on Mars a superhero Instead, we get another humorous montage that reminds us of Carter’s human nature. He may get to be a superman in time, but first he has to take his licks, looking like an idiot. We understand why he’s humble and righteous, not arrogant and over-confident. Stanton finds other ways to puncture any unnecessary solemnity. The Tharks continually refer to John Carter as “Virginia,” even after he asks them not to, and they also give him a kind of alien bull-dog sidekick that he can’t escape from. In both instances – again – viewers are asked to reckon with a hero with feet of clay, with frailties and limitations. It’s no fun, after all, if our hero is unbeatable, or if power comes too easily to him. 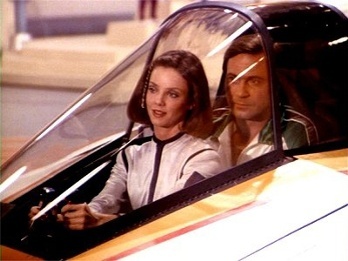 Another good joke comes later in the film: Carter’s inability to stick a landing while piloting a Martian flying machine. This comedic situation serves the same function as all the other jokes, making Carter relatable and bearable to us in the audience instead of some unsympathetic ubermensch. For me, the emotional honesty and dynamic lyricism of Stanton’s directorial approach comes to the forefront in another unconventional but magnificent moment. During a fierce battle with Tharks, Stanton deploys incessant cross-cutting to flash back from the height of the savage attack to a character defining moment in the past when Carter returns home from the Civil War and discovers his family – his wife and child – murdered. The cross-cutting is vitally important here because it permits us to understand why Carter has again embraced war (“a shameful thing,” he notes at one point). When he kills – and kills on a near-cosmic scale – he is remembering the tragic loss that destroyed his life, his very identity. Sword blades slicing through the air cross-cut with images of a shovel striking dirt…digging a grave. Again, director Stanton has found a way to adroitly and economically visualize this hero’s essential character. I also very much appreciate the “fan” homages that Stanton delicately and unobtrusively threads into the picture. Eagle-eyed viewers will recognize, at one point, a familiar expanse of Vasquez Rocks, where Captain Kirk famously fought his green-skinned Gorn opponent, in Star Trek (1966 – 1969). And one scene set in a canoe directly mirrors a moment in the Forbidden Zone with Charlton Heston on an inflatable yellow raft, from Planet of the Apes(1968). John Carter is veritably seeded with these canny visual allusions to previous genre classics, thus graciously noting that it is part of a longstanding continuum, even if Burroughs was really an initiator, not imitator, of the literary “pulp” adventure. Above, I mentioned the social commentary embedded in John Carter, and there’s no doubt of its presence. Several times during the course of the film, for instance, we witness the workings of what can only be called a large “fracking” machine, one damaging and degrading the very stability of Barsoom. Furthermore, the Thern leader – an advanced would-be God – notes that he “manages” and “feeds off” the destruction of worlds while “societies divide.” This is a wicked metaphor for the very debate we see playing out in our national dialogue about the role of “vulture capitalists,” like those at Mitt Romney’s Bain. Such men champion “creative destruction” and shepherd the chopping-up and selling-off of resources…so that they alone profit. This is indeed the very dynamic we see played out with Matai Shang, a creature “managing” the destruction of Barsoom for his own benefit. Another element of that dynamic, of course, is the 1% argument we associate with the Occupy movement. The Therns represent only a few people, but their agenda rules the planet as the various, diverse denizens of Barsoom battle over dwindling resources such as water, or new technologies such as the ninth ray. The many are distracted by manufactured wars or partisan divides while the vultures fly in and feast on a world (or country’s…) natural wealth. In no way is this movie a “message” picture, but as always, great art reflects the dynamics of the time period in which it was produced. Like John Carpenter’s yuppie aliens in They Live (1988), the Therns of John Carter are both resource-guzzlers and puppet masters, managing a largely-unaware, highly-distracted population. Some of those avenues of control involve the sowing of racial division (humanoids versus Tharks), and the manipulation of religious rituals, namely marriage. Again, one need only to gaze at current headlines to see how some political forces “feed” on such disunion in real life. Outside this commentary, John Carter also boasts an opinion about — as reviewer Anderson noted – the very concept of adventure. 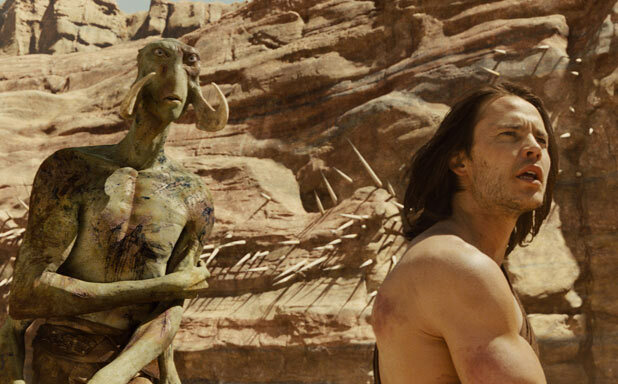 John Carter escorts viewers from the last American (mythic) realm of adventure – the Old West – into the new frontier of space adventure. This conceit from Burroughs’ literary canon is so brilliant because it connects our past to our future, and reminds us that our mythology’s forms may vary or shape-shift over time, but that the human content remains largely the same. Like many a Western icon, John Carter is the stranger who rides into a new town, and finds injustice there. He rectifies that situation because – as an outsider – he has no “dog in this hunt,” to turn a phrase used in the film. Unfortunately for John Carter, period sci-fi adventure movies almost never succeed with the public, as I’ve reported in the past. The Rocketeer (1991), The Shadow (1994), and The Phantom (1996) all failed too, because, I suspect, at some level we desire to see our modern, technological corollaries up there on the big screen in science fiction adventures, not anachronistic men from an age long past. Still, I enjoy how John Carter keeps one foot in the past and one in the future. The very idea is reflected in Carter’s tomb inscription: “Inter Mundos.” That phrase meaning “between worlds” describes not just the film’s two separate planets, but its two distinct traditions of myth and adventure. John Carterfeatures gorgeous photography (particularly in the scenes set on the river of Isis), but more importantly, highlights a charming romance. Carter and Dejah fall in love – with all the expected sparks and hardships– and for once in a movie of this type, the scenes resonate and provoke interest rather than inducing winces. The film possesses that otherworldly quality of charm, to quote Harve Bennett, and you can detect that charm in the fun (but not annoying) bull-dog sidekick, in Tarkas’s humorous dialogue, and most importantly in Stanton’s selection of shots and editing techniques. 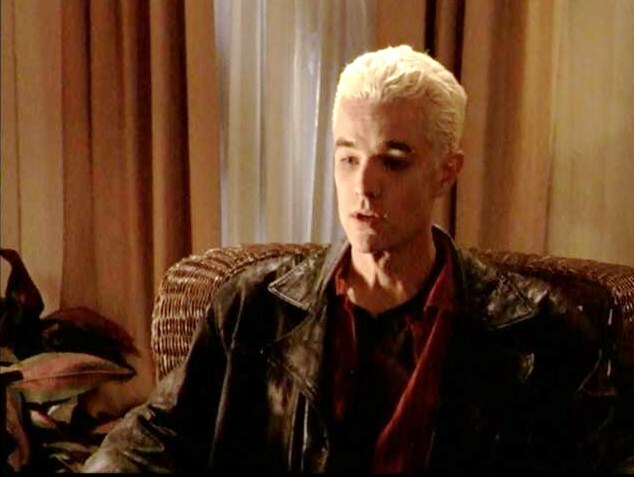 On the latter front, just consider that if the Carter/Dejah romantic scenes did not work so well, the triumphant punctuation of a scene in which Carter appears to return to Earth would not play as nearly effectively as it now does. As it stands, it’s a great and surprising twist, and one told with a sense of convincing and confident simplicity; a simple tilt of the camera towards the ceiling. To me, this scene represents one of those perfect movie minutes when all the elements work precisely as intended, and the audience is really drawn into the world of the characters. 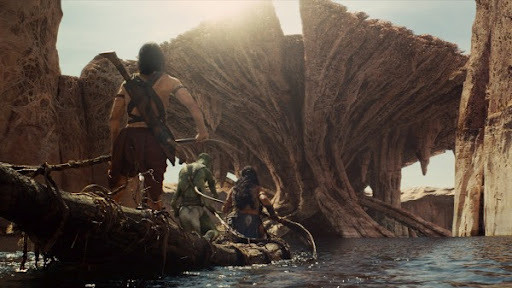 Finally, I would like to report that I felt like Tars Tarkas did while watching this film – that when I saw John Carter I believed it was a sign that something new can come into this world. That didn’t happen, exactly. Our culture is too saturated with similar films, perhaps, for John Carter to achieve escape velocity as a Star Wars-sized, tradition-busting, fad-inducing, trend-setter. But at the very least, I’m satisfied that I’ve seen in John Carter a refreshing change of pace in terms of modern blockbusters. It’s a well-made and wholly joyful film, and it deserved a better reception. John Carter is one of the few cinematic heirs to Star Wars that actually includes all the elements I have sought and treasured in space adventure movies since May of 1977: heart, soul, humor and wonder. If those sound like qualities you can buy into, I recommend the movie wholeheartedly. Now if someone would just make a movie of another favorite “pulp” adventure from my childhood: E.E. “Doc Smith’s The Skylark of Space (1915). A defector is a person or (character in a drama) who allegedly renounces allegiance to one nation, state, or other political entity. That defector may be courageous for abandoning or leaving behind a dangerous or evil ideology, or may be considered a traitor or betrayer to his own kind. Because the motives of a defector cannot always be easily parsed, there’s often a question in drama about his or her true allegiance. If a person renounces all they have known and loved – down to their very home, family and laws – how can you trust them? That is the terrain that defectors on cult TV largely play. Often, a defector is susceptible to suspicion and concern because those whom he or she defects to can’t always be sure they aren’t being fed misinformation or outright lies. 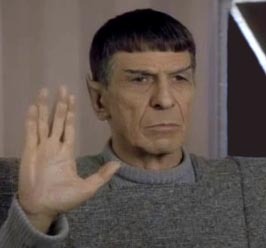 During the long history of the Star Trek franchise, the logical half-Vulcan Mr. Spock (Leonard Nimoy) has at least twice been considered a defector. In both circumstances, of course, we learn that this is not at all the case, but initially the suspicion is raised. 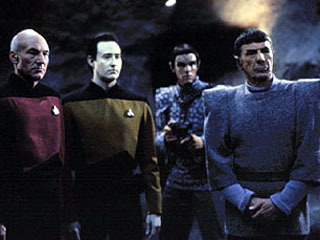 In “The Enterprise Incident,” when the Enterprise illegally crosses the neutral zone, Spock acquiesces to Romulan orders and agrees to take command of the Enterprise from Captain Kirk (William Shatner), even while very publicly entertaining the possibility of a future life in the Romulan Empire. 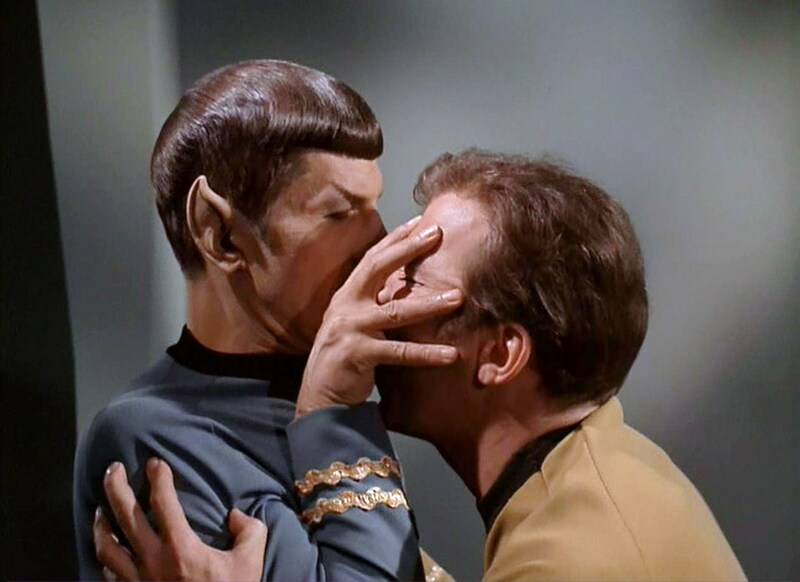 Of course, this defection is a ruse, and the eminently trustworthy Spock is really operating under top-secret Starfleet orders. In Star Trek: The Next Generation’s two-part episode “Unification,” the matter of Mr. Spock’s allegiance comes up again. 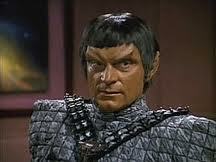 When Ambassador Spock disappears from the Federation, there are rumblings and rumors that he is actually on the planet Romulus, having defected there. Captain Picard (Patrick Stewart) leads a secret mission to the Romulan home-world to determine if Spock’s defection is real, but not before facing the unpleasant task of telling Spock’s dying father, Sarek (Mark Lenard) that his son may be a traitor to the Federation. 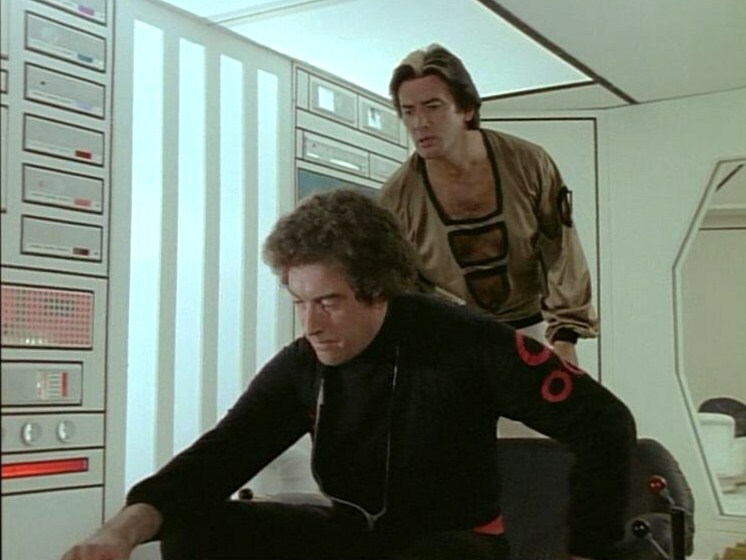 In Space: 1999’s (1975 – 1977) Year One story “The Last Enemy,” there’s actually a double (trick) defection. During a war between Beta and Delta, a Bethan vessel, the Satazius, sets up a firing position on Earth’s traveling moon. 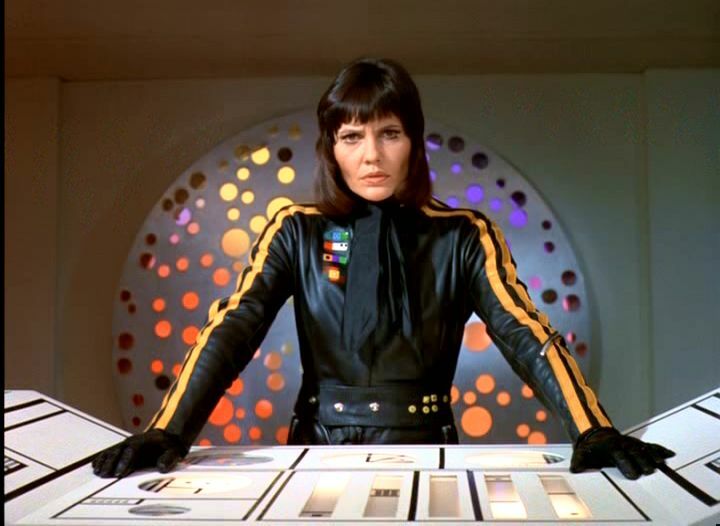 After the Satazius, is damaged in a counter-attack, Satazius’s commander, Dione (Caroline Mortimer) seeks sanctuary at Moonbase Alpha and promises to help defend the base. Her defection is a ruse, and she is really only buying time to launch another strike against Delta. 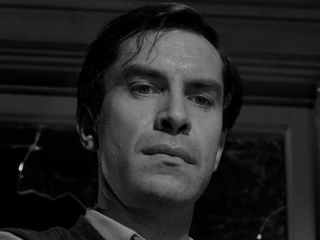 At episode’s end, Commander Koenig (Martin Landau) apparently defects from Alpha to Satazius, but his plan is a far more cunning – and destructive – ruse. 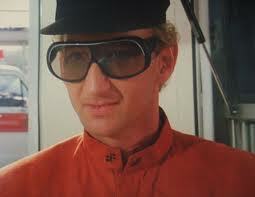 On V: The Series (1985), a Visitor named Willie (Robert Englund) defected from the alien fleet and became a dedicated member of the human resistance. 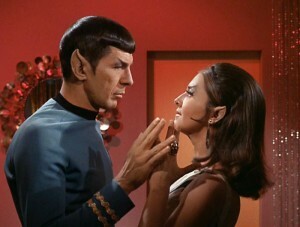 Willie’s defection caused problems, however, in a later episode (“The Return”), when he encountered the Visitor love of his life aboard the mother ship and had to face the emotional consequences of his decision. 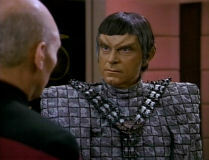 The third season of Star Trek: The Next Generation (1987 – 1994) featured a terrific and largely-underrated episode titled “The Defector” in which the Enterprise rescued a Romulan admiral, Jarok (James Sloyan) from the Neutral Zone and was retrieved by the Enterprise-D. Captain Picard experienced great difficulty determining if Jarok was a Romulan “plant” to spread false data to Starfleet, or a deeply committed man who fled his people and his family over his belief that war was imminent, and he alone could stop it. 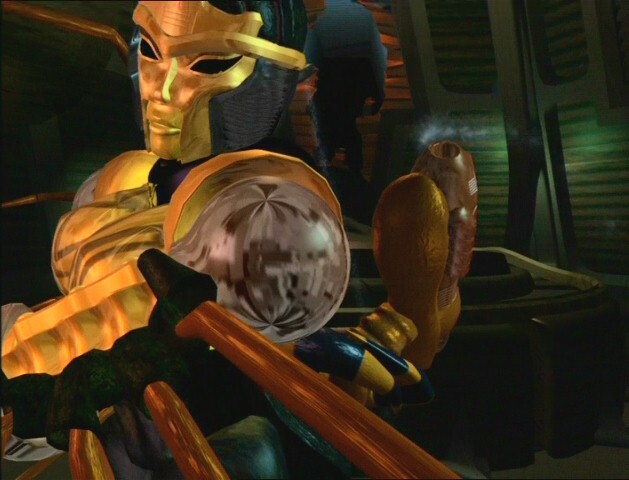 In the brilliantly-vetted Beast Wars animated series of the 1990s, two of the most intriguing and well-developed characters, Blackarachnia and (my favorite) Dinobot, were actually defectors from Megatron’s Predacon ranks. What ultimately distinguished these two characters on the program was the fact that though they sided with the Maximals under Optimus Primal, they still went about things in their own unique fashion, utilizing tactics that Optimus, Rhinox and Cheetor didn’t always approve of. In a more earthbound, human setting, “the defector” also proved a staple of J.J. Abrams’ espionage series Alias (2001 – 2005). Both the Russian spy, Julian Sark (David Anders) and Sydney Bristow’s mother, Irina Derevko (Lena Olin) at times “played” at being defectors to the West, but boasted hidden motives and agendas. Identified by Anonymous: Gareth Thomas (Shem) and Pierre Brice (Adam) in Star Maidens. Identified by woodchuckgod: Willie (Robert Englund) in V: The Series. 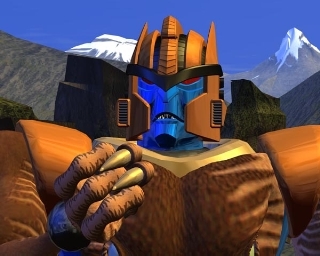 Identified by woodchuckgod: Dinobot in Beast Wars. Identified by woodchuckgod: BlackArachnia in Beast Wars. 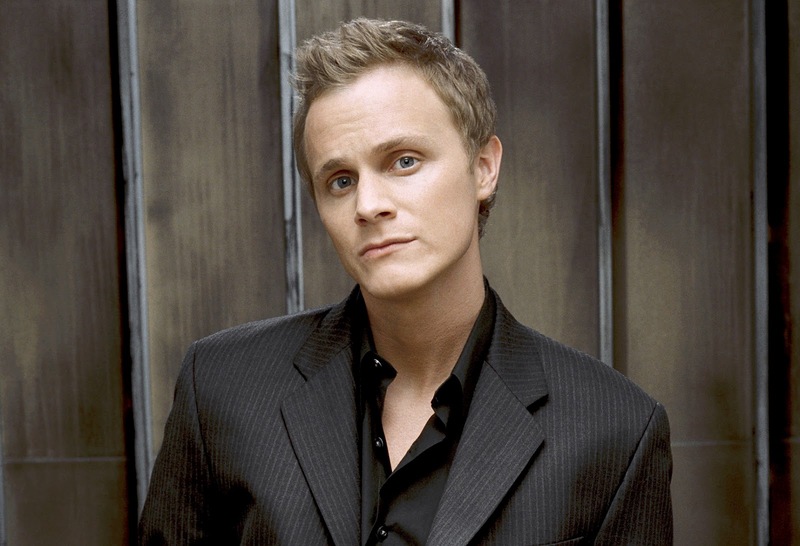 Identified by jay-jay: Sark (David Anders) in Alias. Identified by jay-jay: Irina Derevko (Lena Olin) in Alias.